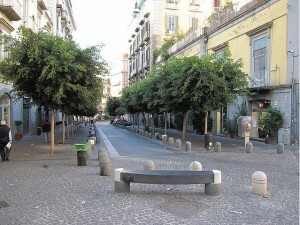 Strategic and well-placed in the heart of Naples downtown, shopping area and the main monuments. 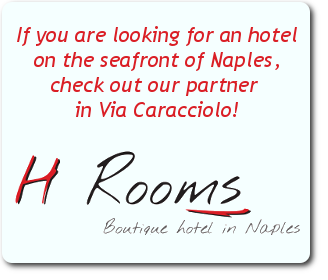 THE FRESH glamor Accommodation in Naples just 5 minutes from Via Chiaia and Piazza Trieste e Trento. Cool Accommodation and innovative a so eccentric, very modern and cured features 6 comfortable and colorful rooms desing appealing. Do you want to sleep via Chiaia in Naples? THE FRESH choose the alternative, to get around the city! Via Chiaia starts from the top, near the Royal Palace, Piazza Trieste e Trento, where are the famous literary historian Gambrinus bars and cafe of Professor, known for its coffee “Hazelnut”, also near the Piazza del Plebiscito and of Toledo street, this street ends in the beautiful Martyrs’ Square, very close to Piazza Vittoria and the Riviera di Chiaia known for its major brands and shops elite. The centrality, the services offered and the excellent value for money and the fabulous special offers, make that hotel one of the best business hotels & family hotels in Naples. Friendliness and professional are waiting for you at THE FRESH HOTEL Naples. 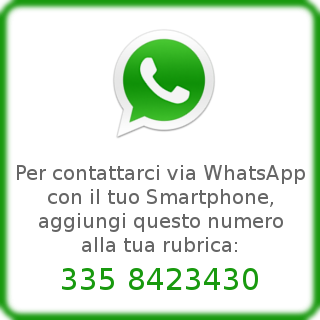 Contact phone 081 0202255 we are also on Facebook and Twitter. Just in front of the central post of Naples, in the narrow street of Via Donnalbina 7 (corner of Via Monte Oliveto) is just 5 minutes away from the marina in Naples (Beverello) only 200 mt far from historic center and Decumani.